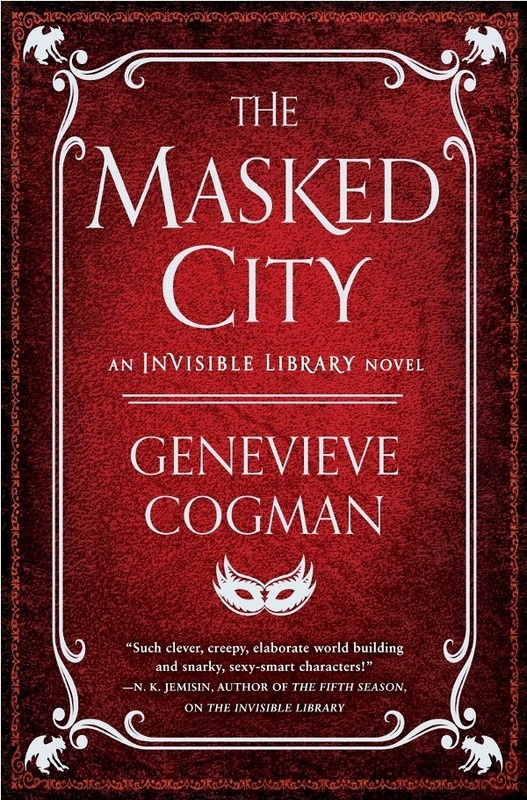 By JJ: It’s been more than a year-and-a-half since I first read Genevieve Cogman’s The Invisible Library, and a year since I read its sequel The Masked City. 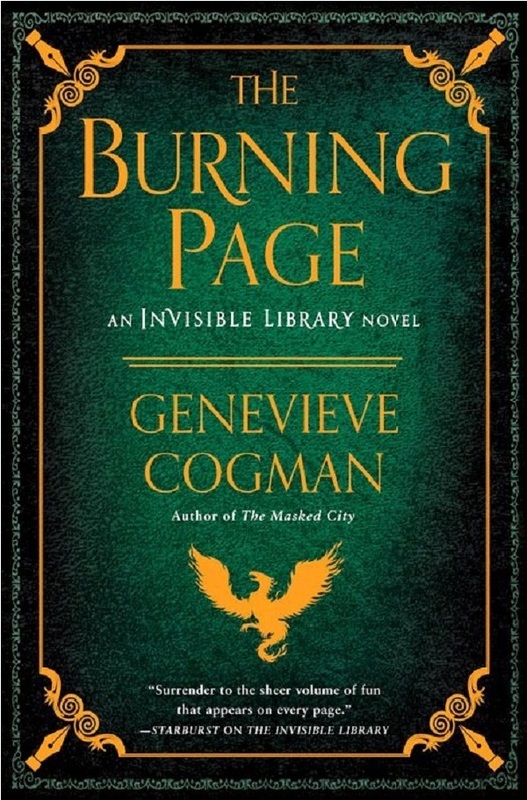 I absolutely loved these books when they first came out, so when I recently got hold of the third book in the series, The Burning Page, I decided to do a re-read of the first two books (something I rarely do these days, due to the size of Mount Tsundoku and a burgeoning awareness of my own mortality) before cracking open the new one. 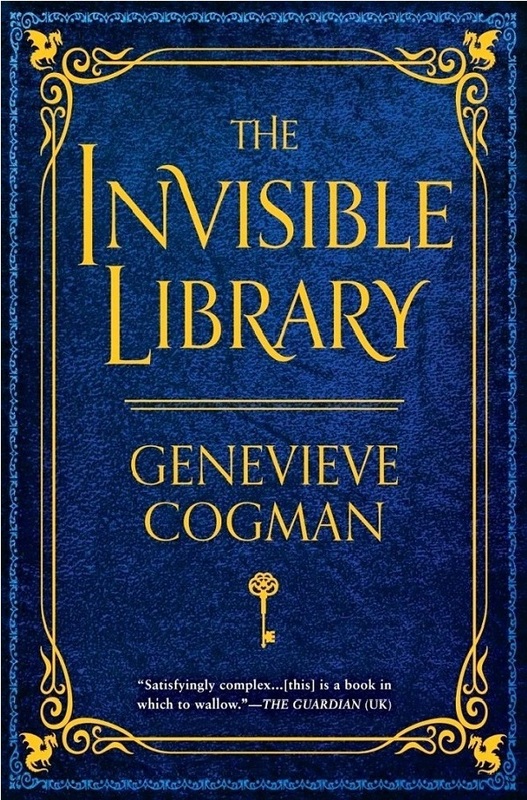 The Invisible Library is an institution located outside of Time, at the crossroads of many similar parallel universes which range from extreme chaos at one end to highly-ordered at the other. The more chaotic universes are the demesne of the Fae, the dragons have more power in the more orderly universes, and the midrange universes are generally up for grabs and can be tipped one way or the other – but humans in all universes are generally unaware of the supernatural beings which actually hold much power over their worlds. The Librarians of The Invisible Library are (or are supposed to be) politically neutral in terms of power and alliances. Because they spend much of their lives inside The Library and thus outside of Time, they live much longer than normal humans. They have secret doors into the numerous “real-world” universes, and their purpose is to obtain variant copies of books, the contents of which can vary widely in different universes (or may not even be written in some universes). Librarians are therefore highly-trained in surreptitious (albeit generally benign) tradecraft, in terms of infiltrating these universes and obtaining access to pilfer the volumes they seek. While not magical, Librarians do have a “special power”: use of The Language, with which they can command objects to behave in a certain way, or people to believe a certain thing. The more closely the command aligns with the natural nature of the object or person, the longer the power of words spoken in The Language will persist; in the meantime, the Librarian needs to get their goal achieved and get the hell out of there, before the alteration wears off. This series features Irene, the book-loving child of Librarians who has been raised in The Invisible Library, and who has all her life wanted to be a full-fledged Librarian making risky, adventurous trips into other universes to obtain rare and special volumes. 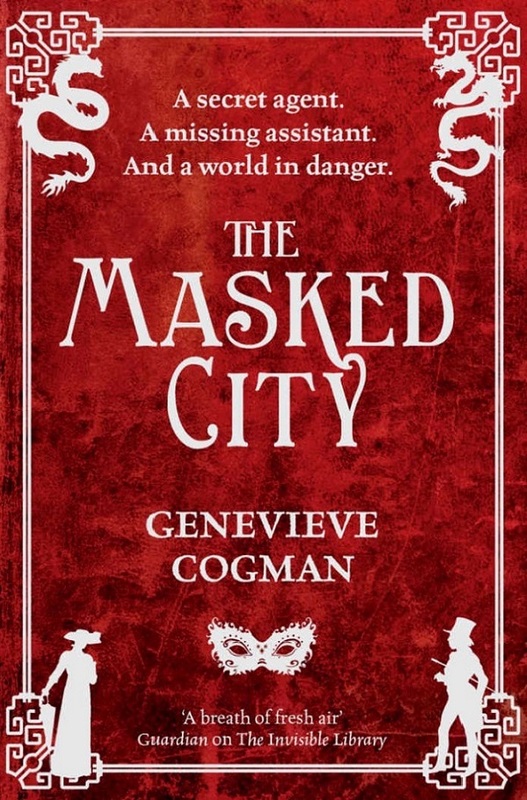 She has – for better or worse – been saddled with Kai, an apprentice whose personality mysteriously changes from naïve to worldly depending on the circumstances, on a mission in a universe where a Sherlock-Holmisian analogue, Peregrine Vale, becomes their unexpected ally. Into the mix are thrown Silver, a powerful but somewhat sympathetic Fae with his own agenda; Alberich, a legendary centuries-old renegade Librarian with an evil agenda, and Bradamant, Irene’s personal rival and nemesis inside The Library, who attempts to undermine and sabotage her at every turn. Make no mistake, there is plenty of darkness and ethical ambiguity – in all of the characters – in these stories. One of the biggest delights of this series for me has been anticipating what novel usage of The Language will be concocted by Irene to get her out of each new dangerous circumstance she encounters. Her strength – and her wonderful pragmatism – make her a character with which I can identify, and one whose triumphs I can cheer. The inventive worldbuilding, backed by a solid understanding of myths and legends, makes these books a pure pleasure to read. The author was kind enough to respond to my request for a written interview. Q: When did you know that you really, really wanted to be an author, and what made it a driving need for you? GC: I’m not sure that I’ve ever exactly always wanted to be an author. But I’ve been telling stories all my life – to myself ever since I first learned to daydream (though in those stories I was the heroine, naturally), and then shared with others while playing or running role-playing games, and then later on writing both fanfiction and my own attempted novels. I suppose it depends how we define “be an author”. If an author is someone who tells stories – either to themselves, or to other people – then I’ve wanted that ever since I discovered stories. Q: Which books or authors have been most influential on your life, and why? GC: I read so much that I don’t know where to start with this one. Consciously, I could mention Bujold, Barbara Hambly, Tolkien, John Dickson Carr, Emma Lathen, Edmund Crispin, GK Chesterton, Barry Hughart, Kage Baker, Moorcock and others. Subconsciously… I honestly don’t know. I suspect that most of what one reads filters through to influence what one writes to some degree, and I read a lot. Q: How did you get the idea to create a storyline centered around a library? GC: I think a lot of people before me have had the idea of hidden libraries, or libraries that connected multiple worlds: Terry Pratchett, Neil Gaiman… I’m standing on the shoulders of giants. And it’s come up in role-playing games, such as the In Nomine game (or in French, the In Nomine Satanis / Magna Veritas game). The idea appealed to me. It had an inherent feeling of rightness. In a way, one wants to believe that a library might have doorways to alternate worlds. Q: Most authors (and most actors) have stories about strange jobs they worked while they were trying to “make it big”, and the bizarre things which happened to them at those jobs. Would you be willing to share your strangest on-the-job experience? GC: I’m afraid I’m going to be really disappointing here, because I don’t have such a story. My regular job career has been in the NHS, as a data analyst, purchaser liaison assistant, clinical coder, and now classifications specialist. Though my weirdest experience during that was probably the time I was in a lift in the hospital where I was working as a clinical coder, together with several other people, and the lift broke down mid-ascension, and one of the people trapped in the lift turned out to be the person who was in charge of such things at the hospital. It did at least mean that we got a point-by-point breakdown (ha!) of what was being done and how it was being sorted out. Q: What’s the most special/unique/touching/powerful comment or response you’ve received from a reader of your books? 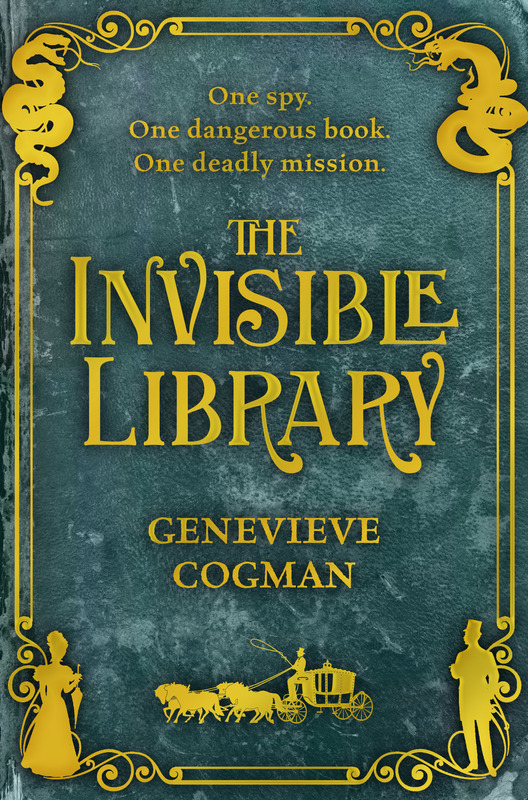 GC: When I was at the Nine Worlds convention in London in 2016, a reader told me that The Invisible Library had helped her get through a difficult time. That was a very heartening thing to hear. Q: If you could get one book, which was never written/finished in this universe, from one of the alternates, what book would it be? GC: The book which contains all those cases Holmes investigated which Dr Watson filed in a dispatch-box in a bank vault somewhere, and which never got published. Q: Which books have you been acquiring recently for The Library? GC: Currently by my bed are France: Fin de Siecle (Eugen Weber), Penric’s Mission (Bujold), English Gothic: classic horror cinema 1897-2015 (Jonathan Rigby), The Last Hieroglyph (Clark Ashton Smith), Everfair (Nisi Shawl), and City of Blades (Robert Jackson Bennett). And quite a few more, but those will do for a start. Q: What do you do for enjoyment, when you’re not reading or writing? GC: Watch television; do patchwork/quilting; knit; bead; sleep in. Q: What’s next in the authorial pipeline for you? Will there be more adventures for Irene, Kai, and Vale? Or something different? GC: At the moment I’m working on books 4 and 5 for Irene and co. Further than that, I’m not sure. I do have more story there to be continued, but I’m also vaguely trying to put together some ideas about demon-summoning, Goetia, decoupage, a dark school of magic, and a heroine who likes cats. There just aren’t enough hours in the day! 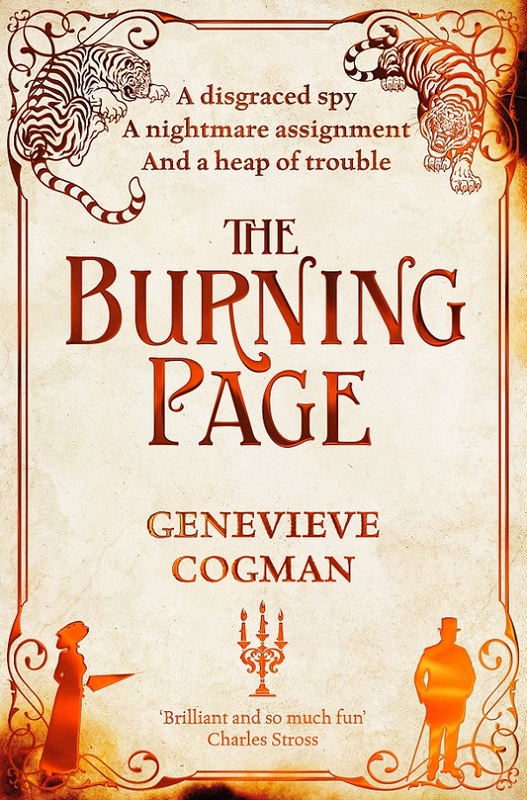 Genevieve Cogman got started on Tolkien and Sherlock Holmes at an early age, and has never looked back. On a more prosaic note, she has an MSc in Statistics with Medical Applications, and has used this in an assortment of jobs: clinical coder, data analyst, and classifications specialist. 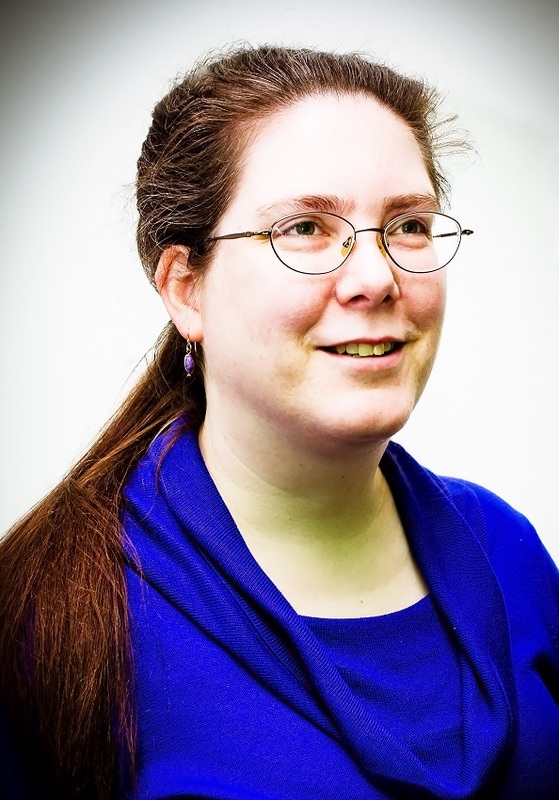 She has also previously worked as a freelance roleplaying game writer. Her hobbies include patchwork, beading, knitting and gaming, and she lives in the north of England. London’s underground factions are prepared to fight to the death to find the tome before Irene and Kai do, a problem compounded by the fact that this world is chaos-infested – the laws of nature bent to allow supernatural creatures and unpredictable magic to run rampant. To make matters worse, Kai is hiding something – secrets that could be just as volatile as the chaos-filled world itself. Working in an alternate version of Victorian London, Librarian-spy Irene has settled into a routine, collecting important fiction for the mysterious Library and blending in nicely with the local culture. But when her apprentice, Kai – a dragon of royal descent – is kidnapped by the Fae, her carefully crafted undercover operation begins to crumble. Kai’s abduction could incite a conflict between the forces of chaos and order that would devastate all worlds and all dimensions. To keep humanity from getting caught in the crossfire, Irene will have to team up with a local Fae leader to travel deep into a version of Venice filled with dark magic, strange coincidences, and a perpetual celebration of Carnival – and save her friend before he becomes the first casualty of a catastrophic war. Irene’s longtime nemesis, Alberich, has once again been making waves across multiple worlds, and, this time, his goals are much larger than obtaining a single book or wreaking vengeance upon a single Librarian. He aims to destroy the entire Library – and make sure Irene goes down with it.